ZOTAC International, a global innovator and manufacturer of graphics cards and mini-PCs, today injects the palm-sized ZBOX nano XS chassis with a double dose of performance from a 4th Generation Intel Core i3 processor. 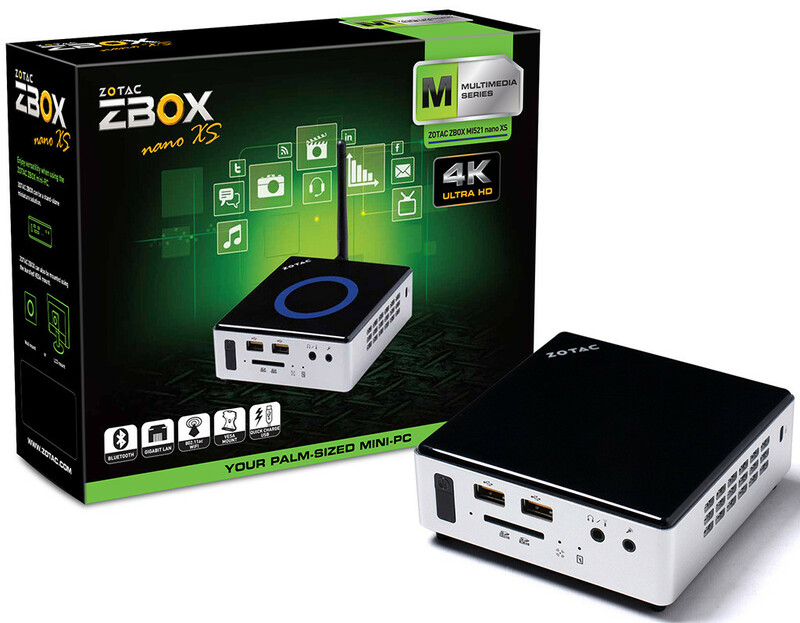 The new ZOTAC ZBOX MI521 nano XS series delivers a dual-core punch and expansive connectivity in an extra small size for an excellent mini-PC experience. Push the limit with the new ZOTAC ZBOX MI521 nano XS series.